An LA Safari? Only on the Malibu Wine Safaris Tour! 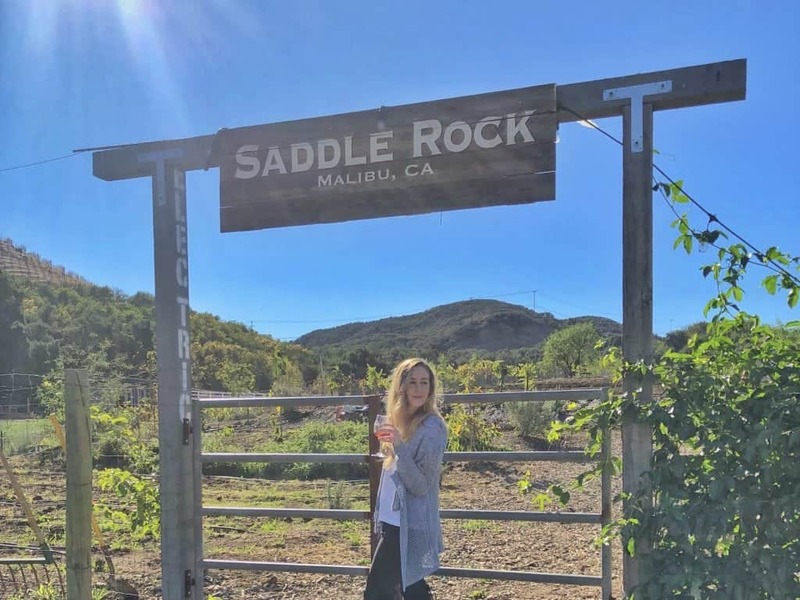 As a native Angelino, I have been to the ever popular Malibu Wines birthday party over the years, but had yet to do the Malibu Wine Safaris tour at Saddlerock Ranch mainly because it’s just really pricey. 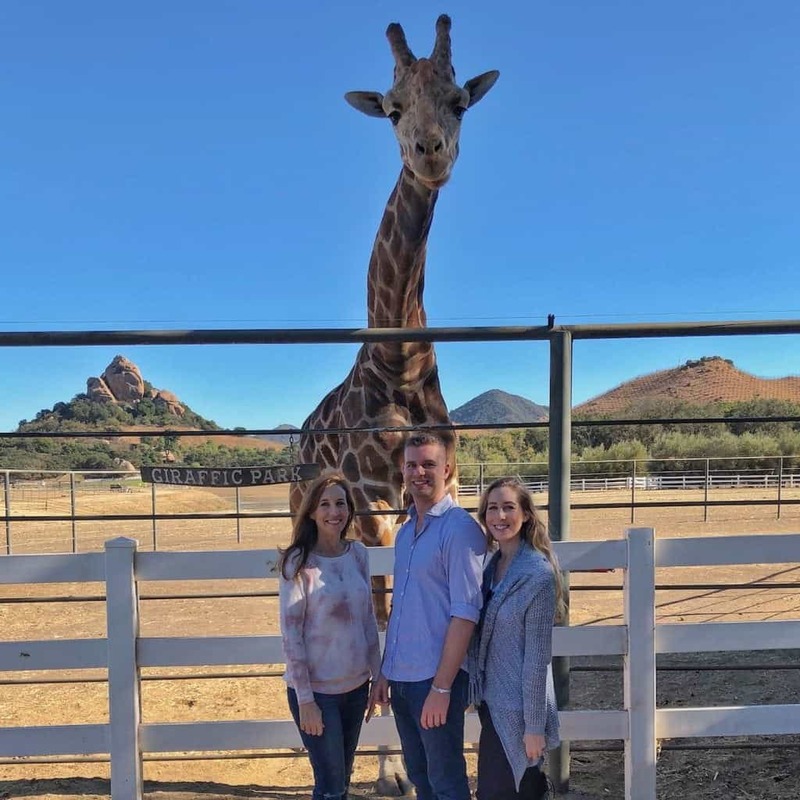 However, now that Stanley the Giraffe has come out of retirement and pivoted to a new role as an Instagram model (he used to be a hot commodity in Hollywood), the safari has almost become an LA right of passage. Needless to say, I was super excited that I did get the opportunity to go when my mom decided that the annual family holiday card picture should be us feeding Stanley. 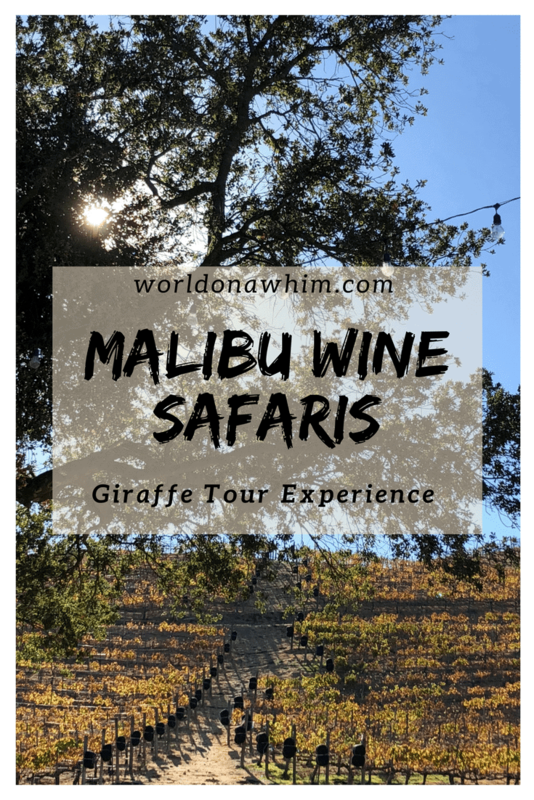 So now that I have been myself, I wanted to share my experience with a comprehensive review in the hopes of enhancing your experience on the Malibu Wine Safaris tour and tasting. 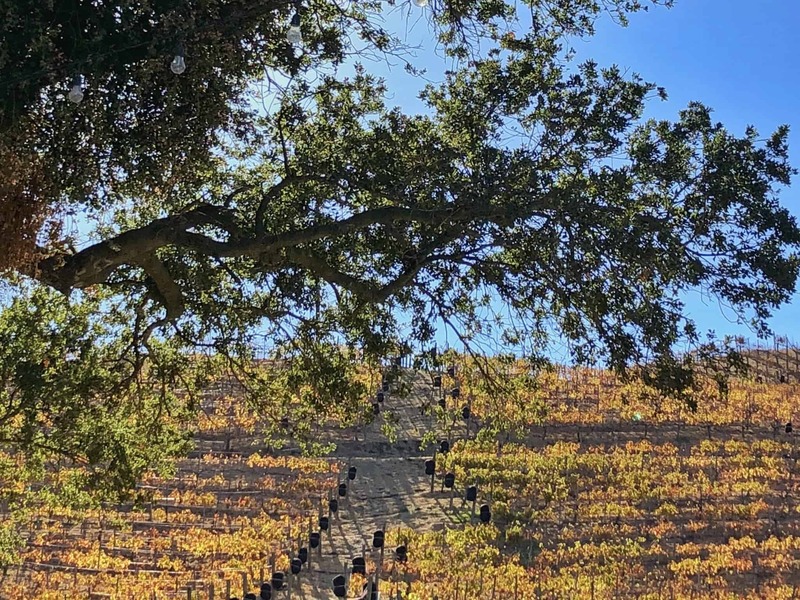 First off, there are 5 tour options to choose from although you only get to meet Stanley on 2 of those…the giraffe tour which is $95 per person or the Vineyard & Lunch Tour at $180 per person. If you plan on going, I highly recommend a tour that includes a meet & greet with Stanley. Yes, it is $30 more than the standard Explorer tour, but worth it in my opinion. The tours run between an hour and a half and two hours and are 21+. They sell out really far in advance so make sure to book early, a month out would probably be best! It’s a bit remote but we had no issue getting there with Waze. We decided to uber because we all wanted to partake in the wine tasting but it did take a little while to get out of there between trying to connect to the wifi (no service for AT&T) and waiting for the closest car to come from Agoura. If you eat ahead of time and stick to the 6 tastings, you probably would be okay to drive but of course, use your best judgment. One of the BEST parts of the whole experience is riding in Indiana Jones style jeeps along the Malibu vineyards. After check in, your guide will call over the group and everyone will grab a seat and head off to the ranch. Be sure to bring sunglasses and a hair tie because it will get windy, but on a nice day, it is so exhilarating driving around in the safari trucks. Also, I know we are all doing this for the gram, but do not wear heels! It’s dusty and you will be walking on dirt and getting in and out of the jeeps every so often. Dresses and booties people! And, of course, the main highlight of the tour is seeing all of the exotic animals. 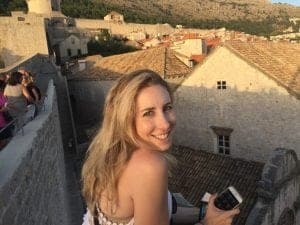 I think what I was most surprised by was just how generous they are in allowing you to feed most if not all the animals that you encounter on your wine safari. 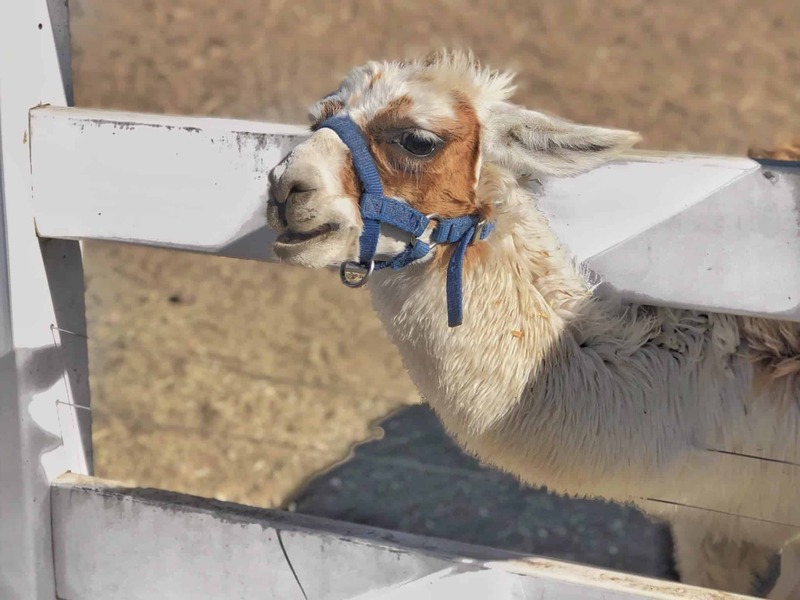 On the tour, you will get to see zebras, llamas, alpacas, horses, bison, water buffalo or some close variation of these. One of the best parts was hearing the clever names that have been given to the animals! I’m not going to spoil the names here, but they are quite the comedians over there at Saddlerock Ranch. After feeding a slew of animals, you will get your first tasting of 3 wines (3 whites/rose). 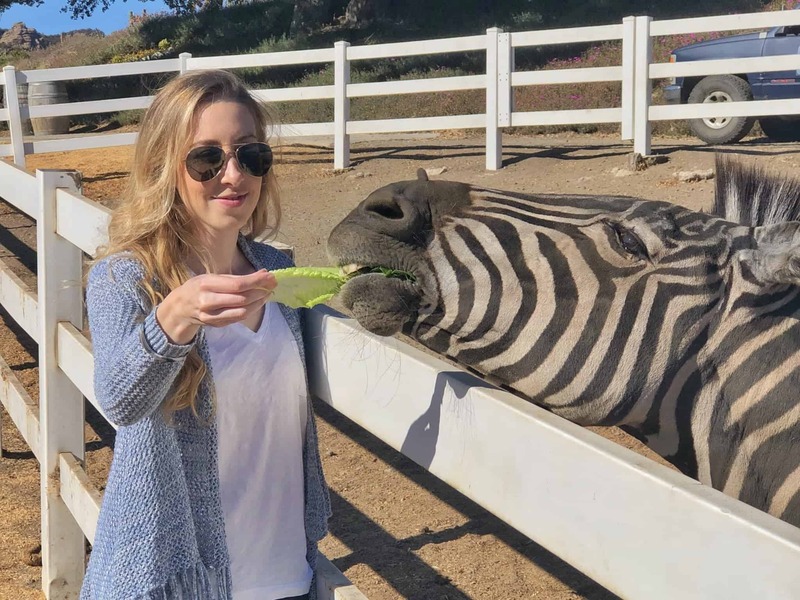 You’ll then hop back on the truck to visit more animals on the 1,000 acre Malibu ranch before you stop again to indulge in your 3 reds next to some Malibu airstreams and stunning views. My guides also gave us a “roadie” for the jeep ride. So, in total I had about 8 tastings although “officially” you get 6. Eat prior to coming! For some reason, I assumed there would be some extravagant spread of cheese crackers, dips, etc. even though the website said nothing of the sort and I did not eat anything all day even though we had a 12:00 PM tour. I was already hangry prior to my arrival so that was my bad especially because the website clearly states that they would only be providing crackers and spreads (3 dips). 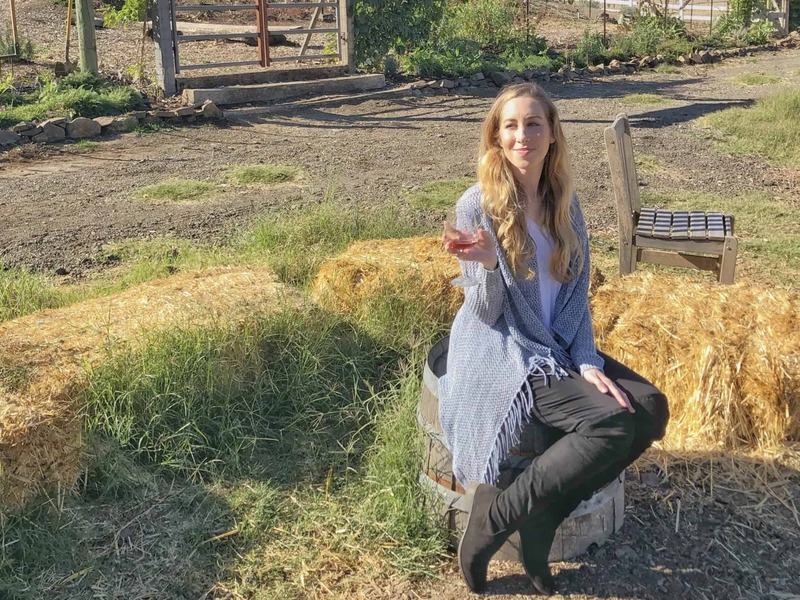 If you are looking to continue your day in Malibu after the tour, I have some restaurant suggestions on my post here such as Malibu Farm and Taverna Tony. If you are coming into town and want to stay near Saddlerock Ranch, all of these hotels are under or around 10 miles away from the safari and have excellent reviews. The first two properties are more affordable ($100 range) while the last three are luxury options ($300-600). The Anza Hotel (Calabasas): Click here to see the latest prices. Homewood Suites by Hilton Agoura Hills: Click here to see the latest prices. Four Seasons Hotel Westlake Village: Click here to see the latest prices. Malibu Beach Inn: Click here to see the latest prices. Calamigos Guest Ranch and Beach Club: Click here to see the latest prices. 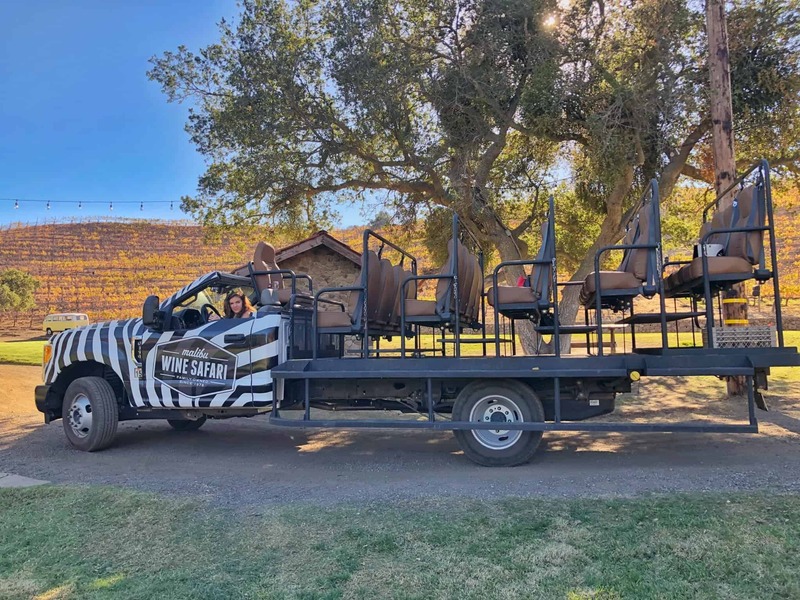 While there have been deals for Malibu Wine Safaris on Groupon and Goldstar in the past, the safari tour has become so popular that I think it would be very unlikely for them to offer any discounts currently. Hoping I am wrong about this! Was I happy I did it? Yes, absolutely. The wine safari was a lot of fun and really well organized albeit quite expensive for what you get. We all thought they could improve the experience by including more of a spread with your final wine tasting…perhaps some cheese or small sandwiches? Also, this is SO hypocritical of me, but I am not a huge fan of doing things just for the photo which is exactly what we did. It’s difficult to live in the moment and really enjoy the experience when you do that and I think that might have been why I enjoyed myself, but wasn’t blown away. I accept full responsibility for taking part in this, but I just think it’s important to share that this whole experience is really one giant photo opp for the majority of people. If you can get past that and take that for what it is, it will be a great time. The views are stunning, it is a lot of fun to feed the animals, and driving around on a real life Indiana Jones safari truck makes for quite an entertaining day. Are you on Pinterest? 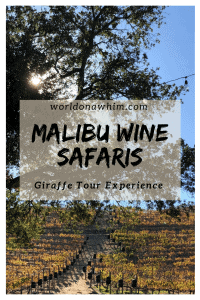 Pin this Malibu Wine Safaris Tour for later!